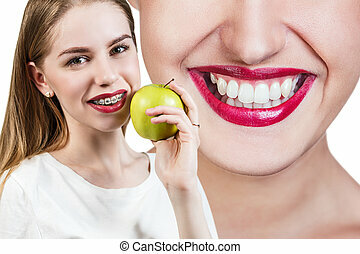 Dental concepts. 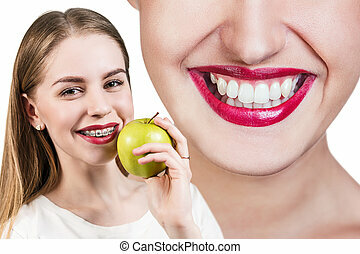 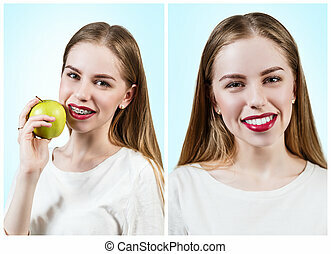 portrait of happy teenage female with teeth brackets. 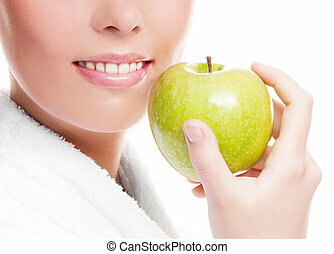 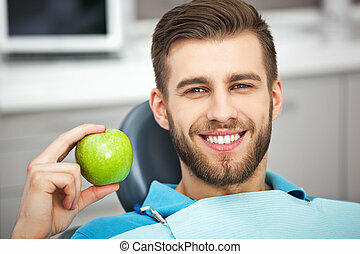 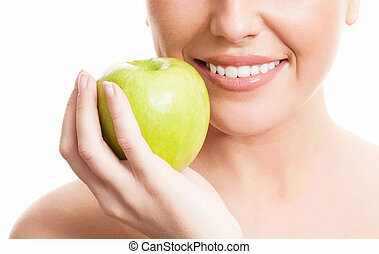 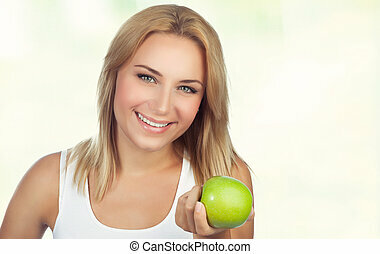 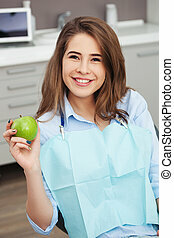 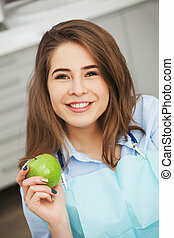 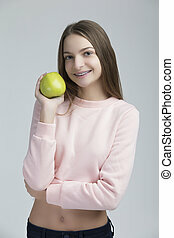 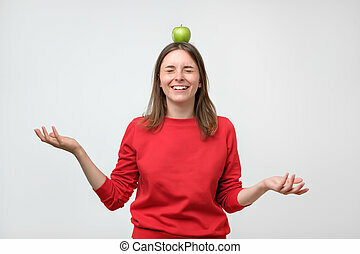 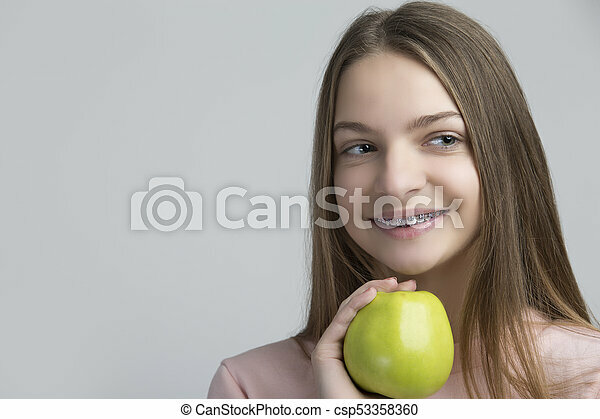 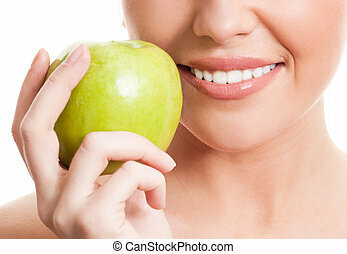 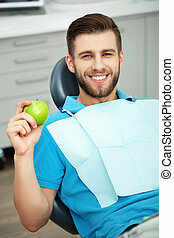 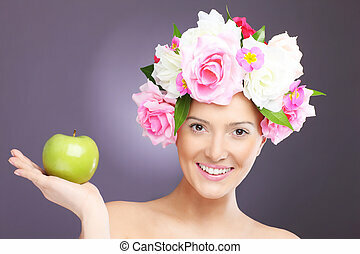 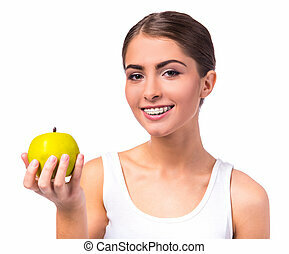 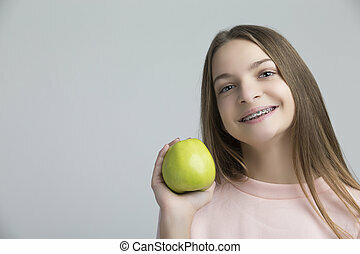 posing with green apple and smiling against white.horizontal shot.